Mercedes-Benz Malaysia Commercial Vehicles (MBM CV) delivered a strong performance, recording a total of 2,469 vehicles sold in 2017, comprising FUSO light-duty and heavy-duty trucks as well as Mercedes-Benz trucks and vans. Despite the dip of 7.9% in Total Industry Volume (TIV) for 2017, MBM CV continues to be a strong supporter of the transport and haulage industry, attributing its robust performance in 2017 to its strategy of placing customers at the centre of its initiatives. 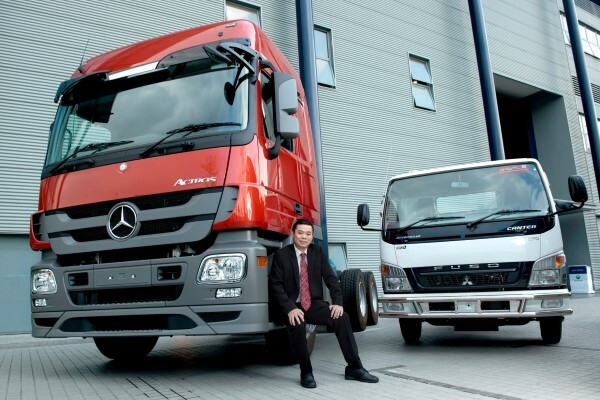 “Part of Daimler Trucks, MBM CV represents first-class product quality and service excellence in the Malaysian market. In everything that we do, our focus is on our customers. Safety, reliability and economic efficiency are our topmost priority. With the commitment of our dealer partners and the trust of the market, 2017 proved to be a positive year in many aspects. As a new year begins, we remain as committed as ever to deliver vehicles and solutions of the highest quality - Trucks you can trust,” said Mercedes-Benz Malaysia Commercial Vehicles, Vice President, Mr Albert Yee. In 2017, the Mercedes-Benz Actros proved to be a top choice among hauliers recording an impressive total of 268 units sold, maintaining a double digit growth of 24.1%. Contributing 32.1% sales, the Mercedes-Benz Actros 2644LS 6×2 (L-cab) remains the most popular model. Meanwhile, FUSO trucks recorded 2,170 units sold. As a result of securing fleet contracts from new small and medium operators during the year, MBM CV was able to achieve a market penetration 13.06% for Mercedes-Benz commercial vehicles in 2017, a new record for the company. Notable fleet deals included successful delivery of 74 FUSO vehicles to KDEB Waste Management Sdn Bhd and 133 units of Mercedes-Benz Actros to Swift Haulage Sdn Bhd – setting the highest number of deliveries in 2017. MBM CV also delivered its 300th FUSO vehicle to Biforst Logistics Sdn Bhd and signed a MoU to formalize Biforst Logistics’ intent to become one of the first customers to receive the fully electric-powered light-duty truck, the FUSO eCanter, upon its availability in the Malaysian market in the near future. In addition to its sales success, MBM CV implemented several after-sales solutions in 2017 to provide Mercedes-Benz commercial vehicles and FUSO customers greater flexibility. This included a wide range of service and repair packages, mileage and overhaul campaigns (engine and transmission), Mercedes-Benz Trucks Maintenance Contract and Full Scope Service Contract. MBM CV also conducted an exclusive service clinic for FUSO vehicles with a team of experts from Japan providing personalised FUSO after-sales care. For the full year of 2017, MBM CV recorded a 7.47% increase in throughput compared to 2016, with an impressive total of 26,820 vehicles serviced, comprising 4,820 Mercedes-Benz commercial vehicles and 22,000 FUSO trucks. In line with its customer-centric strategy, during 2017 MBM CV enhanced three service centres, namely, Hap Seng Commercial Vehicle Kuching, Hap Seng Commercial Vehicle Klang, and stamped its mark in the northern region with Hap Seng Commercial Vehicle Ipoh. Catering to both Mercedes-Benz and FUSO Commercial Vehicles, MBM CV and its dealer partners will continue upgrading service centres in 2018 to enable greater sales and service, maintenance and repairs for both brands. MBM CV’s move to enhance and expand its presence in Malaysia is in line with the needs of the transport and haulage segment for reliable vehicles with minimal down-time. Todate, MBM CV’s nationwide dealer network comprises 62 service centres catering to both Mercedes-Benz and FUSO commercial vehicles, ideally positioning it for the upturn of customer demand expected due to growth in demand for haulage services. As a responsible corporate citizen, MBM CV continues to be a firm believer in championing the role of developing skilled talent. Following a successful pilot programme, MBM CV renewed its commitment with the National Youth Skills Training Institute (IKBN) in 2017 providing an intensive three-month stint for selected IKBN students. Upon completion of the course, graduates are guaranteed job placement at FUSO dealerships nationwide. To raise the level of skills training for youths in the automotive workforce and provide a pool of technical specialists for its service network, MBMCV signed a MoU with Tekat Automotive College. Following the MoU, selected Tekat Automotive College students will undergo an eight-month training programme known as Mercedes-Benz Commercial Vehicle Apprenticeship Programme, consisting of theory and practical aspects in line with Daimler AG standards. Students who graduate are guaranteed a job placement for two years within the Mercedes-Benz or FUSO dealer network nationwide. To promote safe and responsible driving, MBM CV conducted the Train the Trainer Driving Training and ECO Driving Training sessions. A total of 13 sessions were organised throughout 2017, covering 32 fleet customers, and 106 drivers were involved in the driving enhancement sessions. “Customers are the centre of our business. In order to offer them the best products and solutions, we work continuously on improving customer satisfaction in all aspects. This includes implementing the FUSO Service Contract after-sales package for our FUSO customers, and our ongoing enhancement to deliver a one stop centre for accident repair solution at our authorised nationwide network. We look forward to continue setting the benchmark for reliable trucks and service quality while meeting the needs of our customers nationwide,” Yee explained. In December 2017, Daimler Trucks announced that it had increased worldwide deliveries in the first eleven months of 2017 by 12 percent year-on-year to 422,500 units. For full-year 2017, Daimler Trucks anticipated unit sales in the magnitude of 465,000 trucks – significantly more than in 2016. 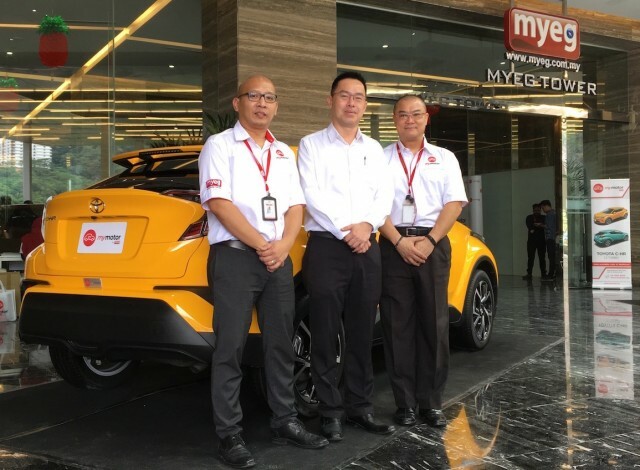 This week, MyMotor which is a subsidiary of road-tax service provider MYEG will be selling, leasing and providing financing for buyers of the most talked about compact SUV in Malaysia, the Toyota C-HR 1.2 Turbo. 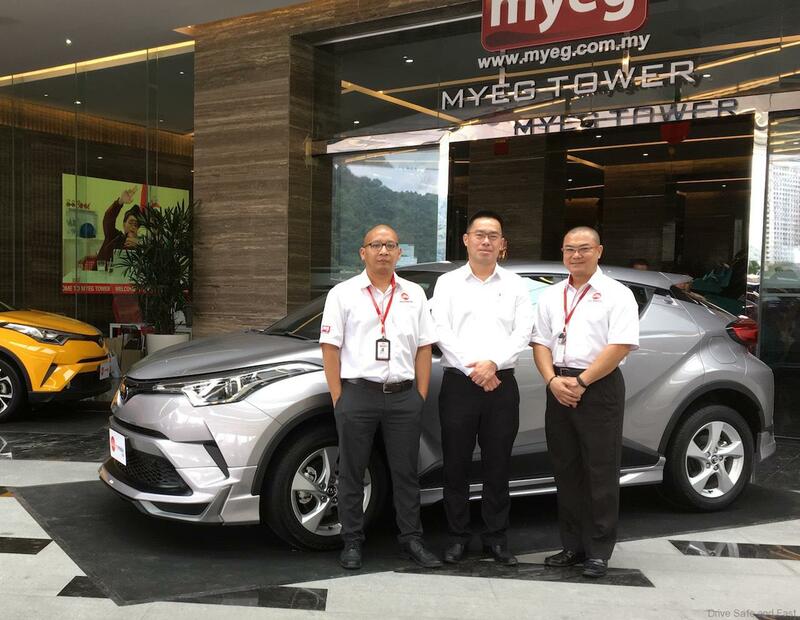 MyMotor invited the media to have a close look at the 1.2L Turbo version of the C-HR before UMW Toyota Malaysia officially launched the 1.8L N/A. Toyota C-HR. We interview the management of MyMotor about this new business venture and the Toyota C-HR. QUESTION: Why is MyMotor previewing a new car? Answer: We wanted to show some unique automotive offerings that we can offer to Malaysians right now. 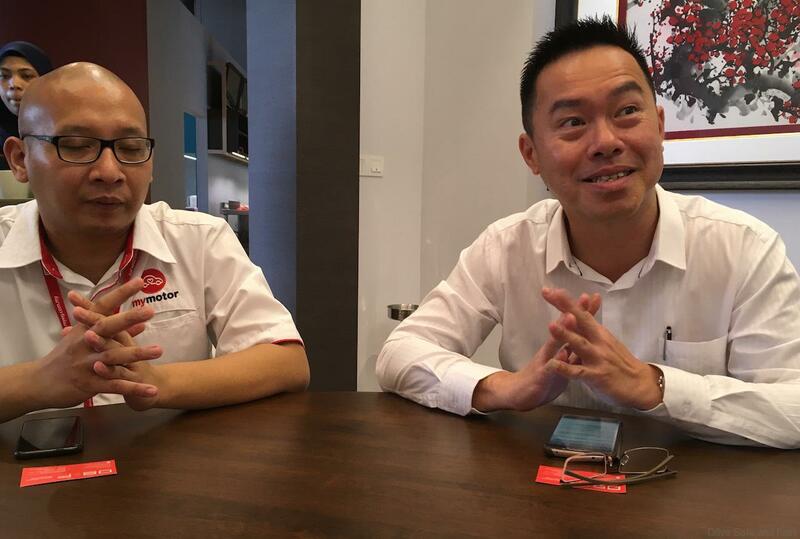 QUESTION: Is MyMotor going into the vehicle import and sales business? Answer: MyMotor is not a wholesale business, but where there is any opportunity to bring a unique offering to the local market, MyMotor would be happy to offer more choices to the Malaysian Market. QUESTION: Is the start of a bigger car business model? Answer: MyMotor is an important aspect of MyEG’s business and we will always be looking at different angles to expand the business. QUESTION: Why choose the Toyota C-HR 1.2L Turbo AWD and not some other brand and model? Answer: Well, this C-HR is the best seller in Japan and this crossover has many new features that are not found in other compact SUV’s in Malaysia. Like the advanced Toyota safety sense program (TSS-P) Blind Spot Monitoring (BSM), Rear Cross Traffic Alert (RCTA), Lane Departure Alert (LDA), Pre-collision System (PCS), Radar Cruise Control (RCC) and Automatic High Beam. It is also a market leader for crossover sales globally and this is (crossovers) the fastest growing segment. Already 79,000 units of this C-HR already sold in Japan, first half of 2017. QUESTION: The new business is under MyMotor completely? Answer: Yes, it is. 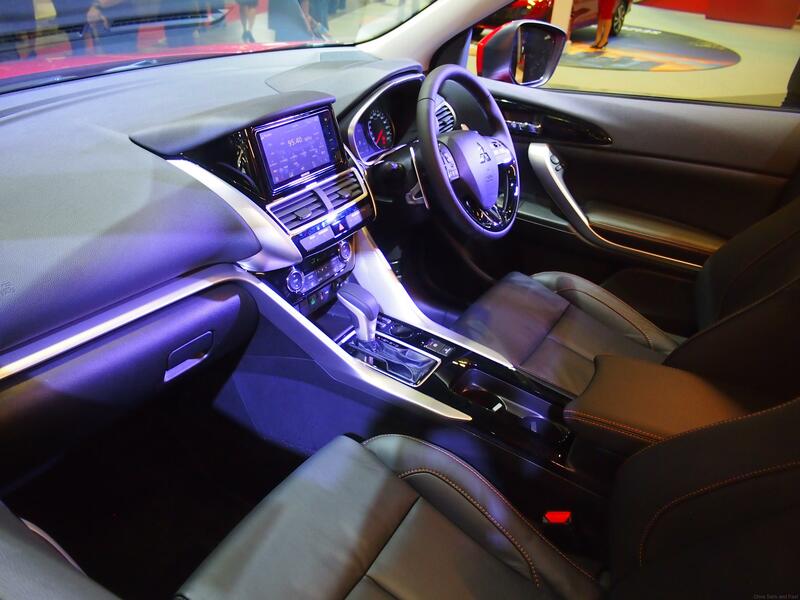 You can buy cash from RM170,000 or your can lease or you can hire purchase it from us. Leasing and Finance is under one roof. Under MYEG Finance Technologies Sdn. Bhd. QUESTION: The vehicles Approved Permit under what name please? Answer: This comes from various parties. QUESTION: Who will handle after sales service and warranty? Answer: MyOpal warranty handles the after sales. Opal will handle service and after sales with their appointed workshops. This car will comes with 24/7 road assist services. One year anywhere in Malaysia your breakdown will be taken cared of. So there will be support for software and after sales network updates. So recalls and after sales will be done by us without any worry for the owner. Warranty is for one year and for leasing it is three years. For 2018, the face lifted NX 200t has been redesignated to NX 300 to better reflect the high performance of the 2-litre twin-scroll turbocharged engine. Technical specifications remain the same as before with no performance changes. The range consists of 4 variants – the NX 300 Urban priced from RM311,900; the NX 300 Premium which is priced at RM329,800 (RM11,000 less than the equivalent NX 200t sold in 2017); the NX 300 F Sport priced at RM387,900; and the NX 300h priced at RM397,800 (excluding insurance for Peninsular Malaysia private registration). The NX 300 Urban is a new entry-level variant which replaces the previous Special Edition variant. 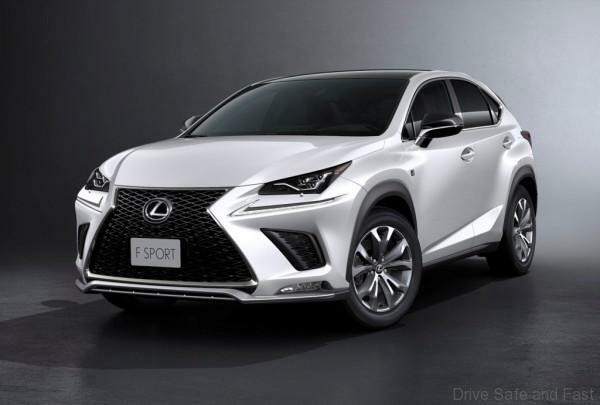 Cosmetic changes to the 2018 models include a new grille and bumper (front and rear) design and ultra compact 3 beam LED headlamps which is inspired by LC 500. 18-inch alloy rims with new designs are also fitted while the exhaust tips feature a baffle-type design. Customers have a choice of 7 exterior colours for all variants except the F SPORT which has 8 choices, two of which are exclusive to the variant. The two colours are applied using a 4-layer paint process for a more vivid finish. 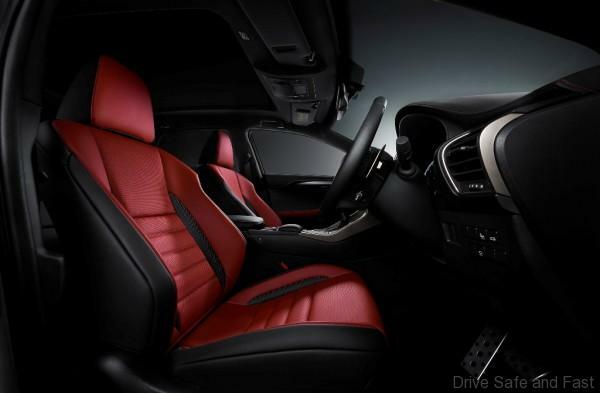 Likewise, the F SPORT also has three exclusive interior colour themes/trim. 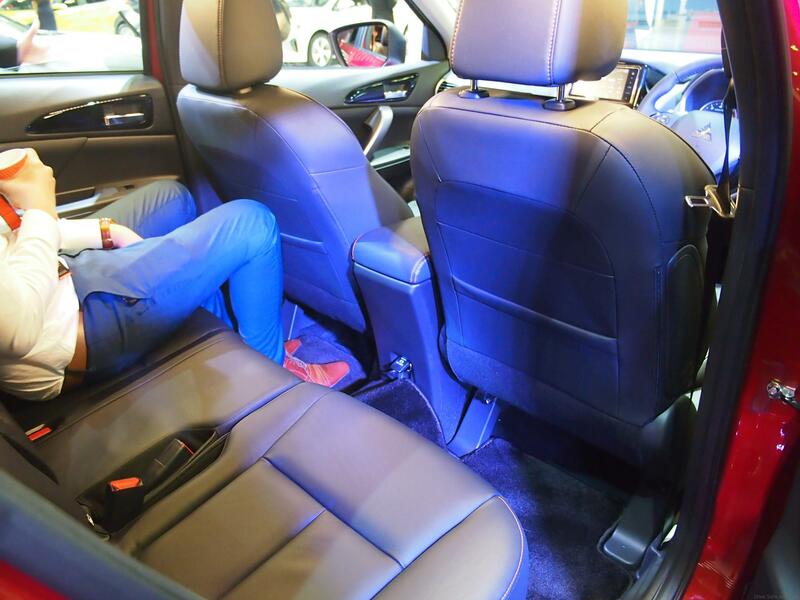 There’s also a refreshed interior with a sportier feel that’s ideal for urban adventures. Interior changes and improvements include a new analogue clock design (larger face) and a redesigned air-conditioning control panel with toggle switches for easier operation. There’s also a new 8-inch Lexus Display Audio unit for all variants except the NX 300 F Sport and NX 300h Hybrid which gets a new 10.3-inch EMVN Display complemented by a Mark Levinson audio system. A moonroof is now available as standard for the NX 300 Premium. For easier operation, there’s a new Drive Mode Select Switch Design, while the palm rest for the award- winning Remote Touch Interface has been improved for maximum wrist comfort. The touchpad has also been increased in area by 30% for better control to make menu selections easier. Other than the NX 300h, all NX variants have a 2.0-litre 4-cylinder engine which produces 235 hp at between 4,800 and 5,600 rpm with 350 Nm of torque from 1,650 rpm up to 4,000 rpm. The D4-S injection system, which uses a combination of direct fuel injection and additional port fuel injectors, helps ensure ample power and crisp responsiveness at all engine speeds. Dual Variable Valve Timing with intelligence-Wide (VVT-iW) optimizes torque throughout the engine speed range and allows the engine to start in the Otto cycle and then run in the more fuel-efficient Atkinson cycle at cruising speeds. The sequential 6-speed automatic transmission uses Torque-Demand control logic to calculate required engine torque to deliver quick response and exhilarating acceleration feel. The G-force Artificial Intelligence (G-AI) system enables more spirited driving by selecting the optimum gear and downshift pattern in response to g force. 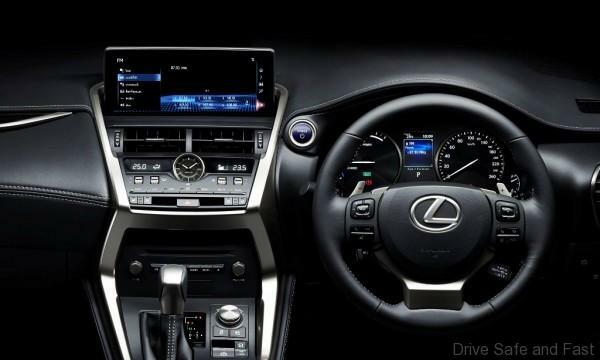 As in other Lexus models, the driver can choose preferred driving responses using the Drive Mode Select dial on the centre console. 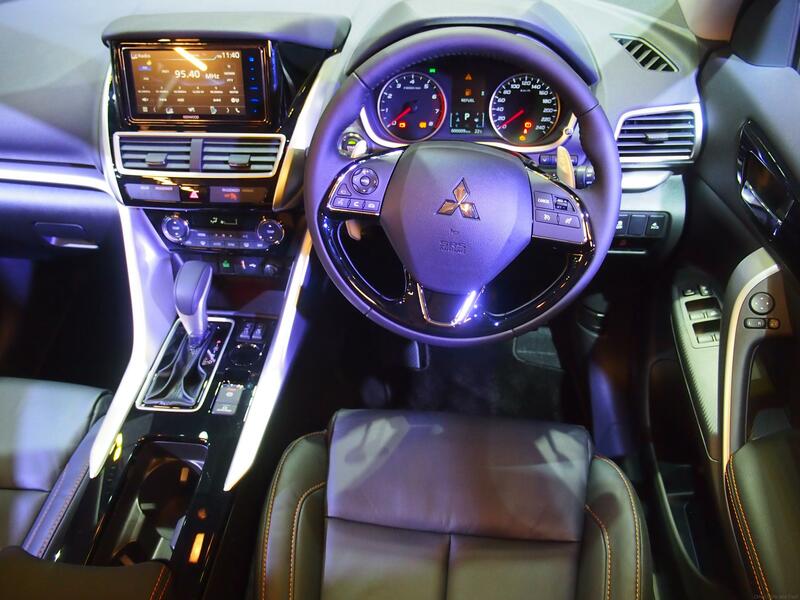 The system adjusts parameters for multiple systems, including throttle response and the power steering assist curve. Three modes are available – Normal, ECO and Sport for Urban and Premium grade – and the F Sport gets an additional Custom mode that allows the driver to set their own suspension, power train and power steering settings, while the NX 300h has an additional EV mode which induces the powertrain to use only the electric motor (available only for a limited range and in certain operating conditions). While there are no powertrain changes, significant improvements have been made to the suspension tuning to enhance ride and handling of the 2018 models. The springs, stabilizer bars and bushings have been retuned for improved turn-in response and steady-state cornering. 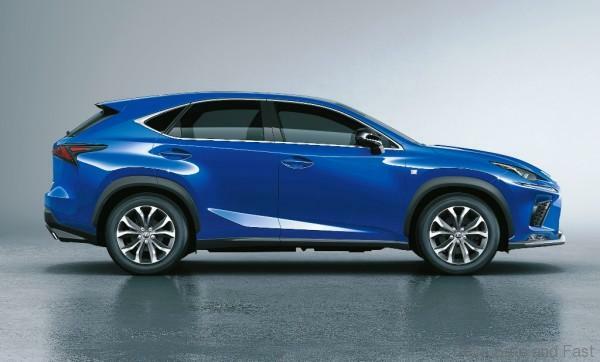 Also, new shock absorbers improve the quality of the NX’s already smooth ride. On the F Sport variant, the Adaptive Variable Suspension (AVS) now has 650 levels of continuous variably control, a big increase from the 30 levels available in the 2017 model. All new models sold by Lexus Malaysia come with a comprehensive factory warranty of 5 years with unlimited mileage. The NX 300h also has an 8-year battery assurance programme for the hybrid battery pack. 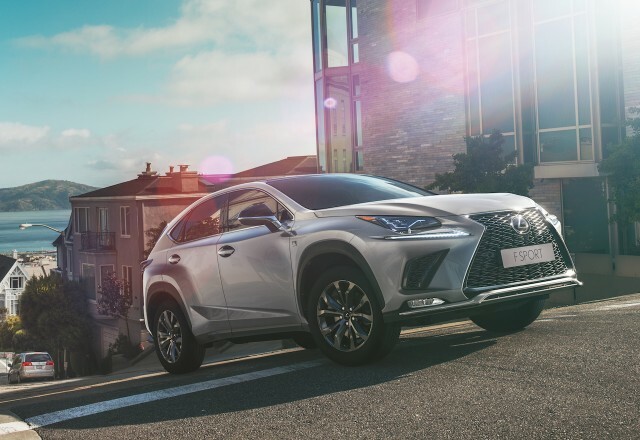 Complete aftersales support is available at 8 locations in Malaysia where there are professional technicians who have been extensively trained by Lexus International. 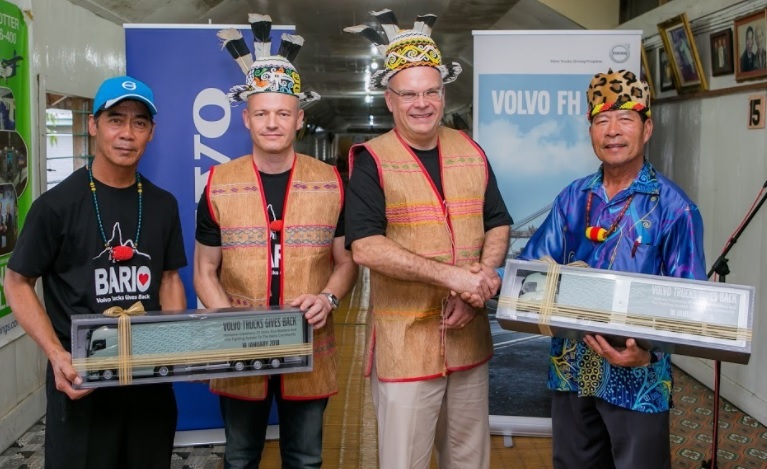 Volvo Trucks, one of the world’s largest commercial vehicle manufacturers, continues to drive progress for a safer and more sustainable future with a corporate social responsibility contribution via the Volvo Group Seasonal Gift programme to the Kelabit community of Bario in Sarawak. The Seasonal Gift programme is part of Volvo Group’s corporate social responsibility efforts which is carried out globally to help support local country social causes. The objective is to help create prosperity for the communities where Volvo Trucks operates. 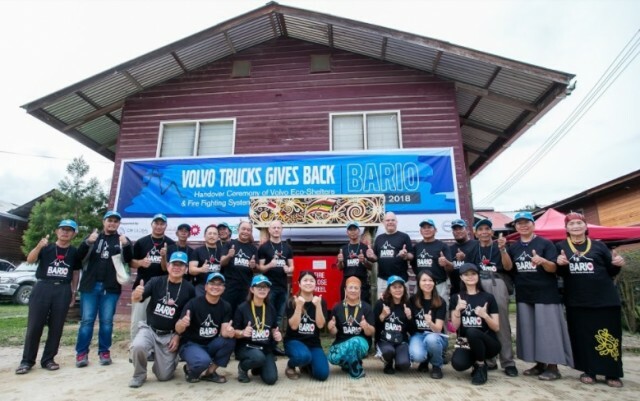 Malaysia was one of the countries that was selected, with Bario chosen as the recipient of the Volvo Trucks-funded RM500,000 Seasonal Gift contribution for improving the lives of the Kelabit community. 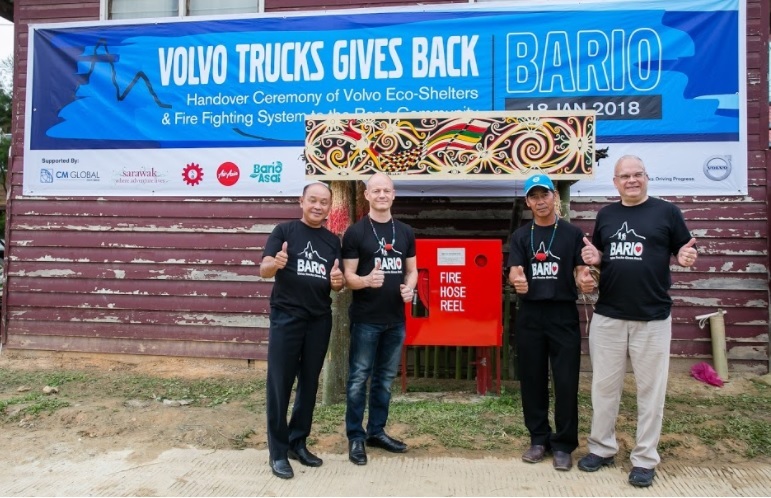 Volvo Trucks’ Seasonal Gift contribution to Bario focuses on two key efforts, one of which includes the construction of a fire-fighting system with a water tank and eight hose reels for the Bario Asal Lembaa longhouse settlement, which is the oldest longhouse in the area dating back to 1958. The fire-fighting system is intended to safeguard lives and the longhouse which is the pride of the community as well as a tourism draw and a living historical monument. The second effort entails the construction of five eco-shelters, where all materials were carried on the backs of porters and shelters built by hands, along the 25-kilometer distance Bario ancestral trail. The estimated distance between each shelter in the ancestral trail is five kilometers apart. The eco-shelters are also equipped with working toilets via a sustainable water harvesting system and a safe resting area. It will take about five to six days of trekking to reach the last eco-shelter. The eco-shelters will help to make the trekking journey through thick jungle terrain more manageable for locals and hikers alike, as well as encourage more tourists into the area, thus helping to generate more source of income for the locals. The Bario project commenced in mid-2017 and was completed in December 2017. 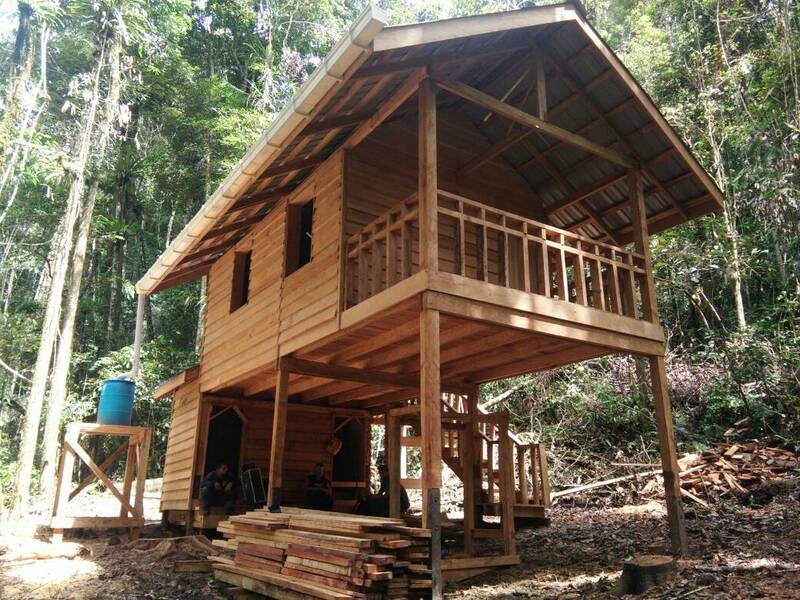 An official handover event to mark the completion of both the fire-fighting system and five eco-shelters was held recently on the grounds of Bario Asal Lembaa longhouse settlement. 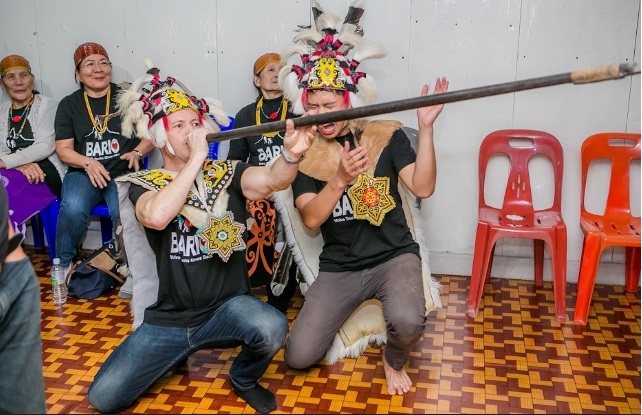 The event was attended and launched by Dag Juhlin-Dannfelt, Ambassador of Sweden to Malaysia, Mats Nilsson, Managing Director, Volvo Malaysia, Penghulu Robertson Bala, and Laju Balang @ Aren Lemulun, Headman of Bario Asal Lembaa longhouse. “This initiative for Bario is one of 14 projects being carried out in different countries globally under our Seasonal Gift programme which was first announced in December 2016. In addition, Malaysia is one out of only two countries in Asia that was chosen and it is indeed a privilege for us to put our funds to good use,” Nilsson added. 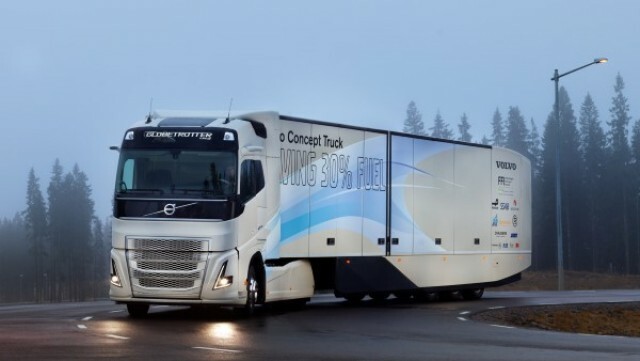 “But of course, Volvo Trucks’ generosity did not stop there. The building of five eco-shelters along our ancestral trail will help the Kelabit and Penan communities living in Bario. It is our responsibility to maintain and look after the eco-shelters well and protect the environment. We want to be able to share the rugged beauty of this area and educate on the importance of conservation and sustainability to our younger generations, preserving the environment and heritage of Bario for the world. Bario is made up of a vast highland plateau which lies over 1,000 metres above sea level in the north-eastern corner of Sarawak, and is home to a number of small local indegenous villages. Surrounded by mountains, cultural sites, agriculture landscape and tropical rain forest, Bario is undeniably one of the most beautiful rural locations in Malaysia which deserves conservation and protection. 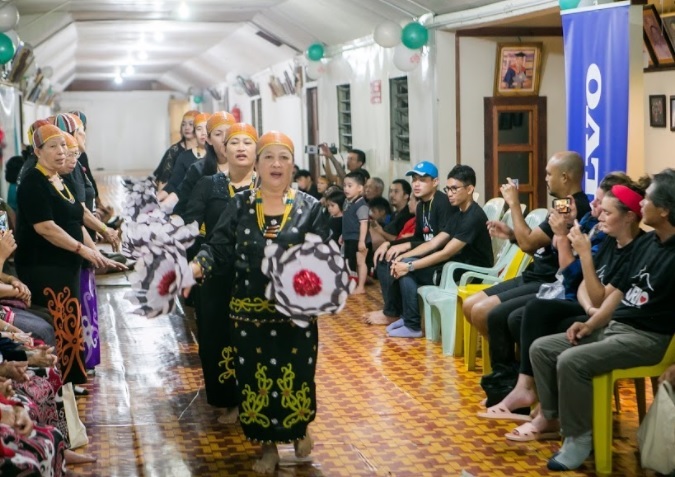 The indegenous community that has been living in Bario for more than 4,000 years are known as Kelabit, where today they are faced with challenges such as modernisation and deforestation with focus now towards sustainabililty. Over the years, about 65% of the younger population have migrated out due to the lack of facilities and jobs in Bario. Today, it is estimated that just slightly more than 1,000 Kelabit people are still living in Bario. Under the Economic Transformation Programme, the Government aims to establish Bario as the world-class hub destination for AgroBiodiversity and to obtain UNESCO World Heritage Status. Through the three key pillars of Volvo Group’s corporate social responsibility approach, the company aims to create value for customers, employees, shareholders and society and to be able to contribute to long-term sustainable development. The majority of Volvo Trucks’ social commitments take place at local level – where the company and its employees can make a big difference. This initiative for Bario also received the full support and partnership from Sarawak Tourism and Ministry of Tourism and Culture Malaysia (MOTAC) with special thanks going to CM Global Sdn Bhd, Dai Lieng Machinery Sdn Bhd, AirAsia Berhad, MAS Wings Sdn Bhd, Perk Events, CJ Bug Production and LNT Advertising Associates. Volvo Trucks has announced that it will start selling electric medium-duty trucks in Europe in 2019, and the first units will be put into operation together with a few selected reference customers already this year. “Electromobility is fully in line with Volvo Truck’s long term commitment for sustainable urban development and zero emissions”, says Claes Nilsson, President Volvo Trucks. Electric trucks drastically reduce noise and exhaust emissions and open up for new ways to manage logistics. More transport assignments can be carried out at night and fewer trucks need to compete for road space during rush-hour. 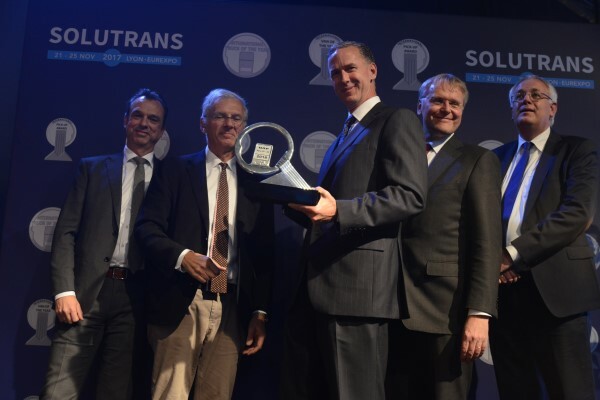 “Our technology and know-how within electromobility are based on proven commercial solutions already in use on Volvo’s electric buses, and solutions that were introduced in Volvo’s hybrid trucks as far back as 2010. The vehicles themselves are only one part of what is needed for large-scale electrification to succeed”, says Jonas Odermalm, Head of product strategy medium duty vehicles at Volvo Trucks. Enabling long term sustainable transport is a complex issue that requires a holistic and wide range of measures. “We are working closely with customers, cities, suppliers of charging infrastructure and other key stakeholders to create the necessary framework for electrical trucks”, says Jonas Odermalm. “We believe in full electrification for urban distribution as a first step. However we are working with electrification for other transport applications. This is only the beginning”, he says. According to the World Health Organization and the UN, 60 per cent of the planet’s population – about 5 billion people – will live in cities by 2030. This is an increase of just over 1 billion compared with current levels. This swift pace of urbanisation will impose immense demands on traffic systems, which in many cases already are insufficient to meet current needs. Within the EU it is estimated that congestion and related traffic problems cost about 100 billion euros per year. 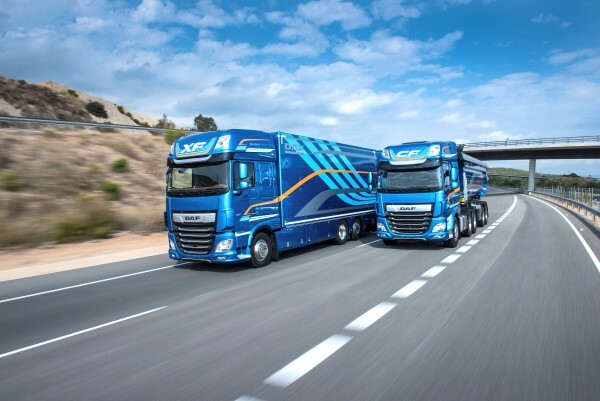 The DAF New CF and XF feature completely new powertrains with highly efficient transmissions and rear axles. DAF also introduced new compact after-treatment systems, sophisticated software and aerodynamic optimizations. These innovations result in a fuel efficiency gain and CO2 reduction of an impressive 7%. Vocational configurations of the new trucks can achieve up to 300 kilograms in weight reductions which further enhance the customer’s operating efficiency. 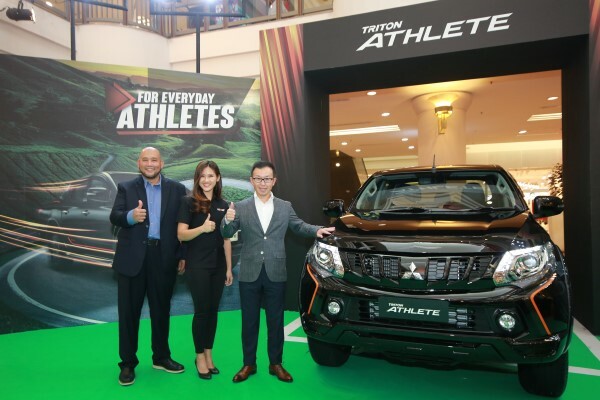 Mitsubishi Motors Malaysia (MMM), the official distributor of Mitsubishi vehicles in Malaysia, officially launched the new Triton Athlete 4×4 pick-up truck today. Only available in Black Mica, the Triton Athlete is made for ‘Everyday Athletes’highlighting the Triton’s agility and nimbleness to take on everyday road challenges in Malaysia. Aesthetically, the new Triton Athlete is spotted with new Front Bumper Garnish, new Black Grille with Honeycomb Mesh, new Black 17” Alloy Wheels, new Sports Bar and Dark Grey & Orange Decal. Other highlights in Black include Side Step, Door Mirror, Door Handle, Rear Bumper and New Tailgate Spoiler. The Triton Athlete that houses a New Infotainment System with Apple Car Play also comes with Black Monotone interior with perforated Orange leather combination and ‘ATHLETE’ embroidery which matches the Orange stitching found on Leather Steering, Leather Gear Knob, Door Trim and Centre Console. The Triton Athlete is a new variant added into the current Triton model line-up and is priced affordably the same as the Triton VGT Adventure X at RM126,990 OTR without insurance. The Triton is powered by the award-winning 2.4-litre MIVEC turbodiesel engine with Variable Valve Timing technology. Coupled with Variable Geometry Turbo (VGT), it produces a strong 181 PS of power and 430 Nm of torque. All Triton models are imported as a Completely Built-Up (CBU) vehicle from Mitsubishi Motors global production hub in Thailand. 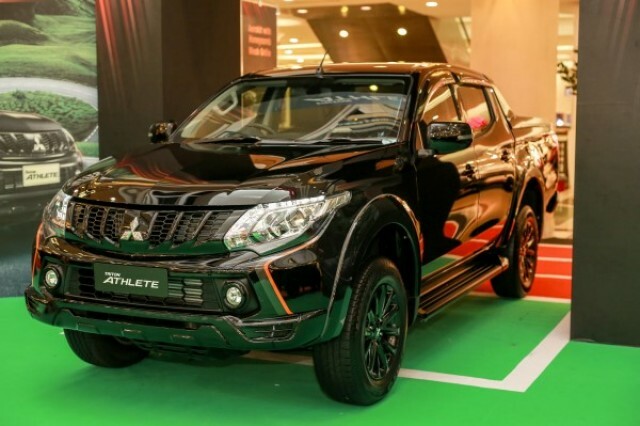 The Triton Athlete is equipped with seven SRS airbags, Electronic Brake-force Distribution (EBD), Brake Assist (BA), Active Stability with Traction Control, Hill-Start Assist (HSA), Trailer Stability Assists (TSA) and Brake Override System for a complete peace-of-mind driving. The safety of the Triton is further strengthened by a strong Mitsubishi Reinforced Impact Safety Evolution (RISE) body construction. Visitors to the roadshow can expect lots of exciting activities such as car stimulator challenge where the finalist will get to race with Leona Chin! 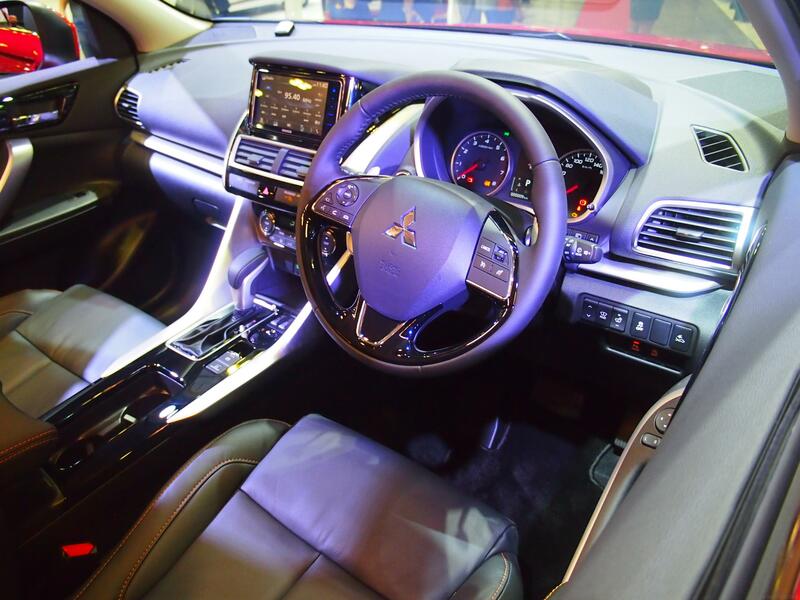 Test-drive any Mitsubishi model during the event day and stand to win RM888 cash prizes or Ralliart merchandize. The Triton has picked up three awards last year namely- DSF.my and Allianz- Vehicle of the Year, Carsifu’s Editors Choice Awards 2017- Best Pick Up Truck of the Year and Diesel Engine of the Year. Isuzu Malaysia ended 2017 on a positive note when its Batu Pahat-based authorised dealer, Jumbo Arena Sdn Bhd, made its 100th unit delivery to Mighty Bakery Sdn Bhd, a manufacturer of bread, buns and confectionery, under the well-known household brand, Mighty White. As a food manufacturer of freshly-baked goods, Mighty Bakery have relied on Isuzu as a dependable transportation partner that ensures reliability and timely delivery to their network of nationwide retailers, to meet the demands of consumers on a daily basis. This steady partnership started back in 2012, and has now grown the manufacturer’s fleet size of Isuzu trucks to 100 units. The 100th unit delivery comprised of the Isuzu N-Series 4-wheeler truck (NKR55UEEH-E), with 16 units registered in 2017. 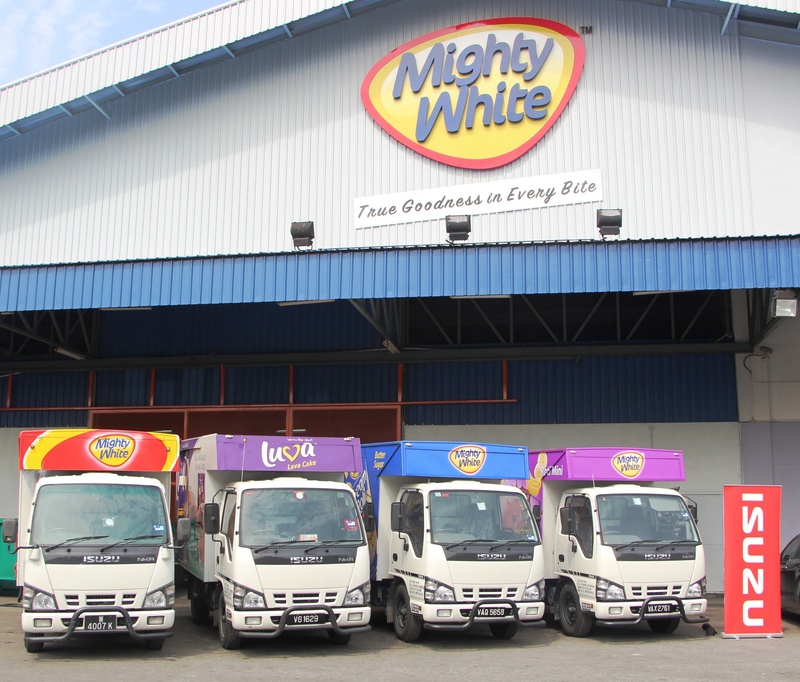 In line with Mighty Bakery’s business expansion into new markets, the current procurement is slated to ensure on-time delivery and cost-effective distribution of their product range throughout the country. In addition, a number of these units will also be replacing aging trucks in their current fleet. Furthermore, Isuzu trucks have become the food manufacturer’s preferred vehicle brand for logistics and distribution due to its solid built-up and sturdiness, aside from offering economical fuel consumption and lower maintenance fees. The handover ceremony was attended by Isuzu Malaysia’s Chief Operating Officer of Commercial Vehicle Division, Mikio Tsukui, who took the opportunity to extend his appreciation and gratitude towards Mighty Bakery for their long-standing support and trust towards both Isuzu Malaysia and Jumbo Arena. Tsukui added that he believes Isuzu will be a beneficial transportation partner that ensures consistent efficiencies in time and cost, in support of Mighty Bakery’s mission to provide fresh, quality food products to be enjoyed by all. A symbolic mock key was also presented to Rodney Khor, the Marketing Director of Mighty Bakery Sdn Bhd, to commemorate the auspicious event, which took place at the company’s plant in Balakong, Selangor. The event was witnessed by Lim Kian Hong, Senior Logistic Executive; and Law Lai Poh, Logistic Executive, of Mighty Bakery. Also in attendance was Jumbo Arena Sdn Bhd Managing Director, Yeo Ann Siong; and After-Sales Manager, David Yeo. 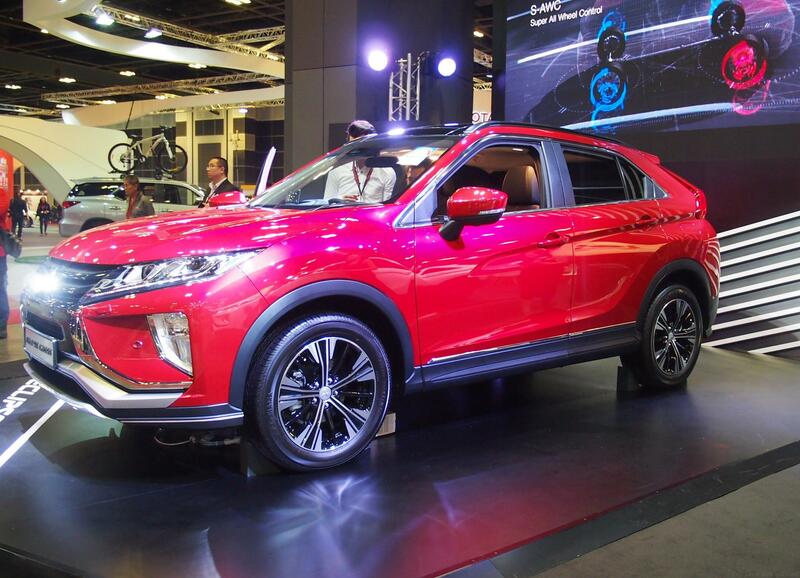 The Eclipse Cross all-new compact SUV coupe will join MMC’s global lineup of crossover SUVs: the ASX compact SUV and the Outlander and Outlander PHEV mid-size SUVs. The Eclipse Cross is a fusion of sharp coupe looks and dynamic SUV mobility with signature Mitsubishi styling and performance. MMC’s DYNAMIC SHIELD front design concept refers to the protective shield shape visually formed by the black central area represented by a black radiator grille that symbolizes the performance of the car. The black area is embraced from three directions – from the left, right, and bottom. DYNAMIC SHIELD emphasizes the front end’s functionalities aimed at protecting both people and the car itself. The “Dynamic and Characteristic” rear design is distinguished by the almost cubist styling created around the high-mounted, stretched rear lamps and by how it horizontally divides the forward-rake rear window into two. 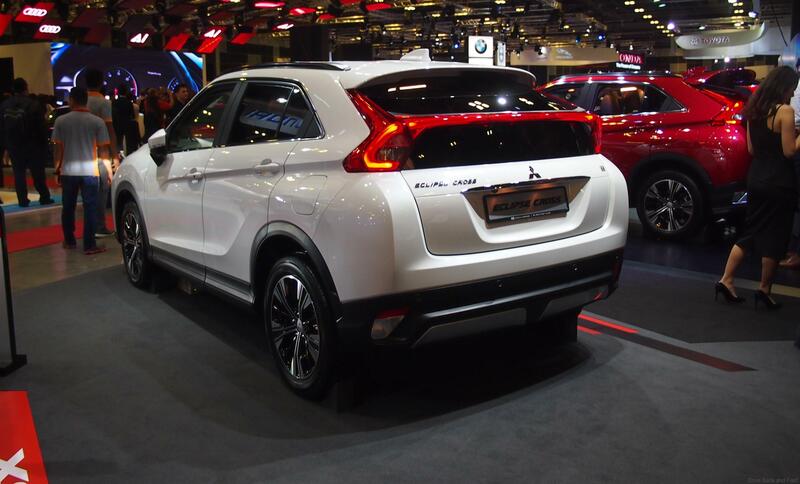 When illuminated, the tubular LED brake lights and the central LED hi-mount stop light form a single bar of light running across the tail, giving Eclipse Cross a broad and stable appearance from the rear. A new red body color joins the palette. The standard coating is layered with semi-transparent red and clear coating, and this creates a high color saturation and intensity that produces a highly-refined finish. The horizontal dashboard, silver metal frames and black/silver monotone color scheme create a refined interior that is both dynamic and sporty. With its thin display audio and the Head Up Display, the futuristic cockpit inspires a sense of excitement for the driver in the vehicle. Maximizing luggage space utility without spoiling its stylish coupe-SUV shape, the rear seat uses a 60:40 split with long slide-and-recline adjustment. In addition to providing rear occupants with plenty of legroom, this also allows them to settle on their favorite seating posture and enjoy long trips with ample headroom despite a roof that slopes down toward the rear. 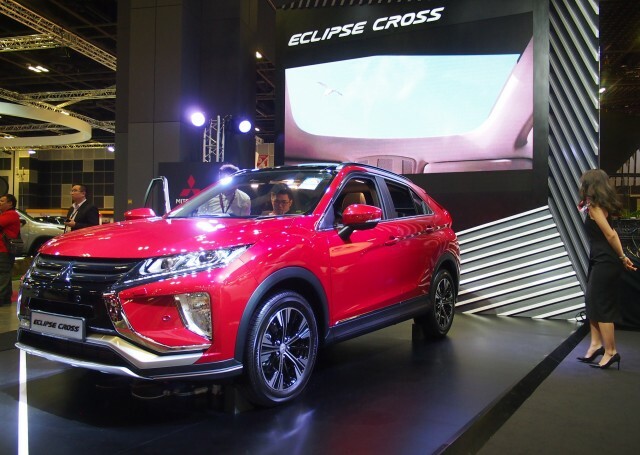 The Eclipse Cross is fitted with the Smartphone Link Display Audio system, a Touchpad Controller and Head Up Display which allow the driver to handle and interpret different types of information more easily and safely. Smartphone Link Display Audio supports Apple CarPlay*3, the smarter, safer way to use your iPhone*3 in the car. The driver can use Siri*3 or the Smartphone Link Display Audio’s touch screen to get directions optimized for traffic conditions, make and receive calls, access text messages, and listen to music, all in a way that allows them to stay focused on the road. Smartphone Link Display Audio also supports the Android AutoTM*4which provides voice controlled operation of Google MapsTM,*4 Google PlayTM*4 music and other apps. The Touchpad Controller can operate audio functions like radio, as well as Apple CarPlay. 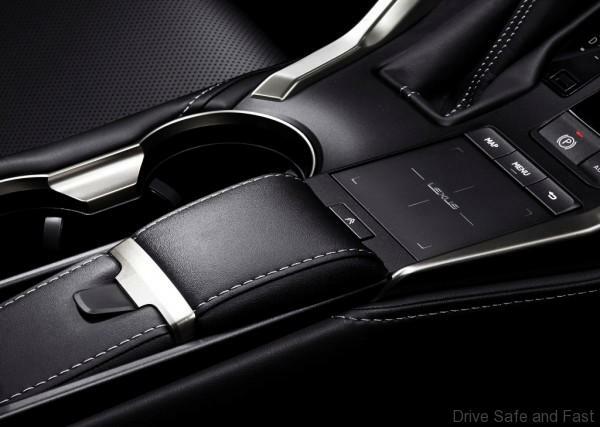 Placing the Touchpad Controller in the center console allows the driver to operate the Smartphone Link Display Audio easily and without having to change position. The Head Up Display unit makes driving safer by presenting vehicle speed, data from the active safety systems and other necessary information that minimizes eye movement and provides instant readability. Apple CarPlay, iPhone, and Siri are trademarks of Apple Inc. registered in the United States and other countries. Android Auto, Google Maps, and Google Play are trademarks or registered trademarks of Google Inc.
Eclipse Cross uses an electronically-controlled 4WD system that feeds the optimum amount of torque to the rear wheels as required by the driving situation and surface conditions. MMC’s Super All-Wheel Control (S-AWC) integrated vehicle dynamics control system incorporates brake-activated AYC*5. The addition of a 3-point strut tower brace at the front and the strategic use of structural bonding at the rear in particular have increased body rigidity. The tougher body and detail optimization of the suspension offer precise handling and superior vehicle stability. Eclipse Cross offers two powertrains that do full justice to a stylish SUV coupe in delivering the right balance of power and environmental performance. The new 1.5L direct-injection turbocharged gasoline engine is mated to a new CVT with 8-speed Sport Mode manual override. The 2.2L common rail direct-injection turbocharged diesel engine modified specifically for Eclipse Cross is mated to a new 8-speed automatic transmission. Both powertrain combinations offer the driver brisk driving experience. Active Yaw Control system manages the torque feed and brake force at individual rear wheels to help the vehicle behave as the driver intends, using information on steering angle, yaw rate, drive torque, brake force and wheel speed to accurately determine driver operation and vehicle behavior. 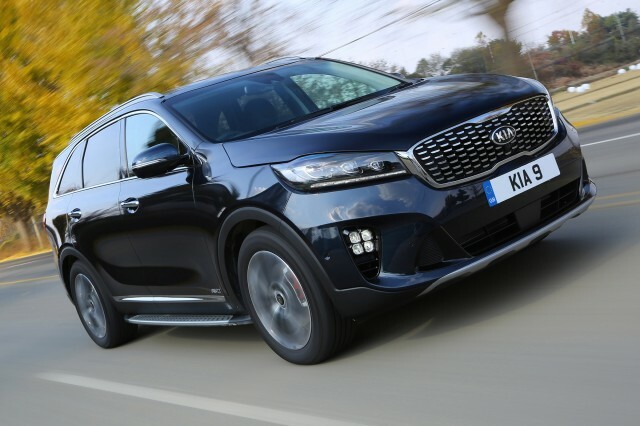 Kia has kicked off 2018 with an update to the Sorento SUV range, introducing two new, sporty trim levels and a fresh 8-speed automatic gearbox, replacing the 6-speed transmission previously used. GT-Line and GT-Line S variants of the Sorento inject a racier look into the firm’s flagship SUV. Both feature 19-inch alloy wheels as standard, alongside stainless steel side steps, red brake calipers, new foglamps and twin exhaust pipes. GT-Line models get projection headlights, while GT-Line S features LED headlights as standard. The new GT-Line car is based on the mid-range KX-2 Sorento, but gains a stop/start button, eight-way adjustable electric seats, a 7-inch LCD instrument display, lane keep assist, and a driver attention warning system. GT-Line S builds on this with a park assist feature, a top-down look 360-degree camera system, adaptive cruise control, a ten-way adjustable electric driver’s seat, a panoramic roof, additional driver assists including autonomous emergency braking, and a premium Harman & Kardon sound system. Kia claims the new gearbox improves fuel economy over the outgoing 6-speed. With the new gearbox in place an official figure of 43.5mpg is quoted, with 170g/km CO2. No changes have been made to the Sorento’s 2.2-litre, 197bhp turbodiesel engine. Elsewhere, one minor change across the range has been introduced for 2018; Apple CarPlay and Android Auto is now installed as standard on KX-1, KX-2 and KX-3 models.